Welcome to All Cash Offer®, where selling your house is as easy as making a phone call - we do the rest! Sell Your House Fast with ALL CASH OFFER® within 7 days. 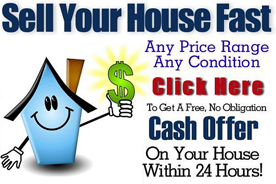 Sell your house FAST with All Cash Offer® today! We provide Real Estate owners a way of quickly selling their Real Estate when they are crunched for time. We accomplish this by paying Real Estate sellers All Cash for their Real Estate properties. Because we sidestep the tedious and time-consuming loan acquisition process, the escrow can close very quickly, usually within 7 days. Please contact us to discuss an All Cash Offer® as well as a Free consultation on many other options that you might have for quickly selling your Real Estate property today. Get a FREE, no-obligation All Cash Offer® on your House Now. Any condition, location, or reason. No stress, hassles, repairs, or commissions. No Repairs need to be made. Avoid Brokers and endless showings. Behind on payments is ok. Buyer Pays Escrow Fees & Closing Costs. Buyer Take over existing Tenants. Contact us for an All Cash Offer today. Zoned R2, this is property for investors. Fire damaged. Sold “As Is”, no warranties, expressed or implied. Drive by only. Court approved sale.